In a sure sign that Iran’s factionalized politics is making a comeback, the right-wing and conservative forces that last year engineered the marginalization of the reformists, are slowly splintering. At the center of this latest bout of factional in-fighting is the divisive personality of President Mahmud Ahmadinejad. While few people expected the political scene to be dominated by a unified conservative front for long, the speed at which the right-wing factions are dividing between pro- and anti-Ahmadinejad camps has caught many analysts by surprise. // ]]>controversial style guarantees that. But the key question is under what conditions (if any) Ahmadinejad’s conservative detractors will make a decisive move against him, for instance by trying to have him impeached in parliament. This scenario is far-fetched, at least for the foreseeable future, but it cannot be ruled out altogether, especially if the president’s indiscretions reach a point where Supreme Leader Ayatollah Ali Khamenei is forced to make a public stand. To many conservatives, the most contentious aspect of the Ahmadinejad presidency is his deep and largely inexplicable relationship with Esfandyar Rahim Mashayee, the head of the Presidential Office and Ahmadinejad’s effective chief of staff. A natural self-publicist with an eye for controversy and an equally strong proclivity for pseudo-intellectual grandstanding, Mashayee has caused deep upset with a series of controversial remarks over the years. In August 2008, Mashayee rocked the conservative camp with his assertion that Iran was friendly towards all people in the world, “including Israelis”. This was explosive stuff in a regime that believes in the political destruction of the state of Israel and its replacement with a Palestinian state. What made matters worse was Mashayee’s refusal to bow under tremendous pressure and retract his apparently pro-Israeli statement. This earned him a direct rebuke from Khamenei, who called his comments “illogical”. The supreme leader rarely comments on the sayings of Iranian officials, a clear sign of the seriousness of the situation. Mashayee has also courted controversy by his lax attitude towards the Islamic hijab (a head-covering scarf) and by at least one speech in which he predicted the demise of “Islamism”. The sum effect of these indiscretions was the galvanization of conservative forces against his appointment as first vice president in July 2009, barely a few weeks after the disputed presidential elections. Ahmadinejad initially resisted calls for Mashayee’s immediate resignation, but was forced to relent after the supreme leader issued a written edict to that effect. But in a gesture that was widely perceived as a snub to the supreme leader, Ahmadinejad appointed Mashayee as the head of the Presidential Office. Mashayee’s latest audacious remarks came in a gathering of Iranian expatriates in early August in Tehran, at which he waxed lyrical about the “ideology of Iran” [Maktab-e-Iran]. This drew immediate and fierce criticism from every noteworthy religious, ideological, political and security node of the Islamic Republic. Mashayee appeared to be promoting nationalism (long a taboo subject in the Islamic Republic) at the expense of the state’s expressly pan-Islamic ethos and geopolitical objectives. Indeed, Mashayee explicitly stated that the only “Islam” that he recognized was the one found in Iran, thus dealing yet another blow to the Islamic Republic’s carefully cultivated image as the standard-bearer of Islamic unity. The rebukes came thick and fast. Besides an uproar in the conservative media, a number of high-ranking personalities harshly berated Mashayee for his controversial remarks. Ayatollah Ahmad Khatami, the Friday prayer leader at Tehran University and a rising clerical politician, dismissed Mashayee’s remarks as tantamount to “pagan nationalism”. A far more significant rebuke came from Ayatollah Mohammad Taqi Mesbah-Yazdi, widely regarded as the spiritual leader of the hardline right-wing faction led by Ahmadinejad, who lamented Mashayee’s apparently strange and “inappropriate” comment. The most blistering attack, however, was delivered by General Hassan Firouzabadi, the chairman of the joint chiefs of staff, who described Mashayee’s remarks as a “crime against national security”. The involvement of a non-political and non-religious figure, especially one with the stature of Firouzabadi, may indicate the beginning of the end for Mashayee, who characteristically has refused to bow under this tremendous pressure and has even threatened to sue Firouzabadi in court. While there may be an element of political maneuvering in these attacks, with key conservative figures attempting to undermine or at least constrain Ahmadinejad through the political assassination of his controversial chief of staff, there is doubtless a significant degree of ideological consideration at play too. Whereas many conservatives eventually let Mashayee off the hook over his apparently pro-Israeli remarks, this time he is unlikely to be as lucky insofar as he has been judged to have violated one of the cardinal taboos of the regime. By championing nationalism, Mashayee has struck at the core identity of the Islamic Republic and inadvertently questioned many of its underlying ideological, political and strategic premises. This helps explain the ferocity of the backlash. 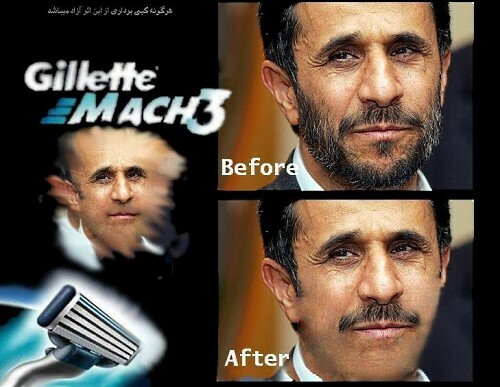 This latest controversy has focused attention on the nature of the relationship between Ahmadinejad and Mashayee. In the past, Ahmadinejad (whose son is married to Mashayee’s daughter) has fiercely defended Mashayee and praised him for the clarity and prescience of his ideas. Some analysts believe Mashayee to be Ahmadinejad’s secular ideological mentor and thus a man with a strong influence over the running of the government. It has been alleged that both men display at best a lackluster and perfunctory support for Velayat-e-Faqih (Rule of the Jurisprudent), the cornerstone of Iran’s unique system of Islamic government. Whereas Velayat-e-Faqih is supposed to fill in the religious and temporal vacuum in the absence of the twelfth and “hidden” imam (Imam al-Mahdi), it has been alleged that Ahmadinejad and Mashayee believe their government is in effect the “Mahdi’s” government, thus rendering Velayat-e-Faqih obsolete. It is difficult to verify these allegations and while Ahmadinejad has positioned the idea of “Mahdaviyat” (Mahdivism) at the center stage of politics, he has never openly questioned any aspect of Velayat-e-Faqih. It is equally difficult to establish to what extent these esoteric religious and ideological beliefs are driving the clash among the conservatives, but doubtless influential centers are raising serious concerns. The hardline Keyhan daily, which up to now had been a vocal supporter of Ahmadinejad and played a key role in preparing a strong media backlash against the losing candidates in last year’s disputed presidential elections, has dramatically raised the stakes in this intra-conservative squabble by questioning the loyalty of Ahmadinejad to the supreme leader. The daily’s political editor, Mehdi Mohammadi, writing on July 22, went so far as to place key Ahmadinejad supporters alongside the “forces of sedition”, a reference to the losing candidates in last year’s disputed presidential elections and the reform movement more broadly. Mohammadi does not rule out an open confrontation between this tendency (ie core Ahmadinejad supporters) and the more conventional loyalists of the Islamic revolution. It is noteworthy that Keyhan is close to Khamenei, but that does not mean that everything it publishes meets the approval of the leader of the Islamic revolution. Equally important, Keyhan is a barometer of hardline conservative thinking and the fact that the lead editorial carries such a damning indictment of Ahmadinejad and his inner circle is a clear indication of massive fissures beneath the surface. Indeed, in yet another indication of the deep anxieties gripping the conservative camp, the managing director of the centrist conservative paper Resalat, in an interview with the Panjereh weekly, warned of the emergence of a the so-called principlist force (Osoolgerayan) that consciously seeks to exclude the clergy from politics. According to him, the distinguishing feature of this tendency is its claims to be in direct communication with the “Hidden” imam, thus bypassing Velayat-e-Faqih altogether. Ahmadinejad is also in the midst of a bitter political dispute with the speaker of the Majlis, or National Assembly, the arch-conservative Ali Ardeshir Larijani. The dispute revolves around a long-running row over parliamentary legislation allocating US$2 billion from the oil reserve fund to the expansion of Tehran’s metro network. Ahmadinejad’s refusal to discharge his legal duties on the basis that his government has secured “25 million votes” is viewed by many conservatives as an indicator of his dictatorial tendencies. It appears unlikely that this political and legal dispute can be resolved without the decisive intervention of the supreme leader. While this had the audience consumed by laughter, outside the conference hall it was judged to be deeply offensive and inappropriate in a political culture that puts a premium on sophisticated and pious language. A few days later, in an unrelated incident involving a senior journalist – but in an atmosphere no doubt influenced by Ahmadinejad’s boogeyman comment – head of the judiciary Ayatollah Sadiq Larijani (Ali Ardeshir Larijani’s brother) berated the president for his choice of words and advised him to use language that is “composed, dignified, correct and fair”. This was a humiliating dressing-down for a serving president. The recent spate of attacks on Ahmadinejad and his key allies by conservatives needs to be balanced by the fact that the majority of right-wing factions still detect more positives than negatives in Ahmadinejad’s government. Indeed, the people who have launched strong attacks on Mashayee have been careful to point out that their statements should not be construed as indicating a lack of recognition for the achievements of the Ahmadinejad administration. Broadly speaking, conservatives and the principlists credit Ahmadinejad with reversing the liberal policies of the previous reformist administration by placing the rhetoric and program of the Islamic Revolution at the center stage of politics. In particular, they praise Ahmadinejad’s foreign policy, which they believe has once again revived the authentic discourse of the Islamic Republic in international forums and subsequently enabled Iran to negotiate from a position of strength with its opponents and enemies. Nonetheless, Ahmadinejad’s peculiar leadership style reinforced by his esoteric beliefs, and coupled by the questionable intellectual and ideological heritage of his key supporters, point to further friction with the key nodes of the conservative and principlist front. Whether or not there is an eventual showdown depends on several factors, chief among them the strength of the internal opposition to the regime and the nature and intensity of external threats. For instance, if the Green movement and the reformists behind it make a comeback, then the conservatives and principlists are likely to close their ranks to meet that challenge, as they did throughout last year. By the same token, should the United States and Israel ratchet up their threats of military action on Iran over its nuclear program, then that is likely to unify (at least superficially) the entire Iranian political elite, conservatives and reformists alike. In the final analysis, the decisive factor is the role and future decisions of Supreme Leader Khamenei. Hitherto, he has supported Ahmadinejad, even to the point of expending from his own political, ideological and spiritual prestige. The continuation of this support is a sure indicator that as far as the leadership is concerned, Ahmadinejad has not strayed radically from the core ideological parameters of the revolution. However, the more Ahmadinejad polarizes the conservative and principlist front, the more difficult it will be for the leadership to sustain this support. Even a relatively mild public rebuke by the supreme leader could be enough to embolden Ahmadinejad’s enemies to set the stage for his political demise by initiating impeachment proceedings in parliament. Mahan Abedin is an analyst of Middle East politics. Previous Did Jesus Come To Declare Jihad?